This is the 7th camera of the Leica 0-series. 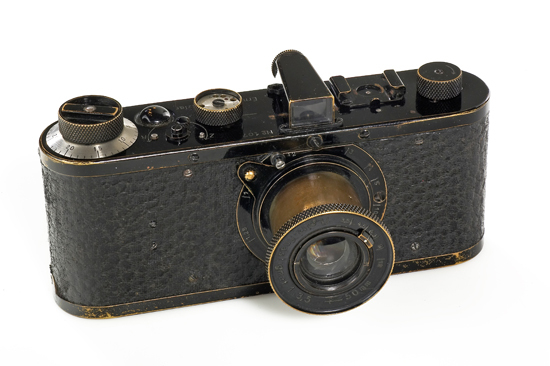 Only approximately 25 of these cameras were produced to test the market in 1923, 2 years before the commercial introduction of the Leica A. It is the only camera known with "Germany" engraving on the top plate. The factory record indicates delivery to New York for patent applies. 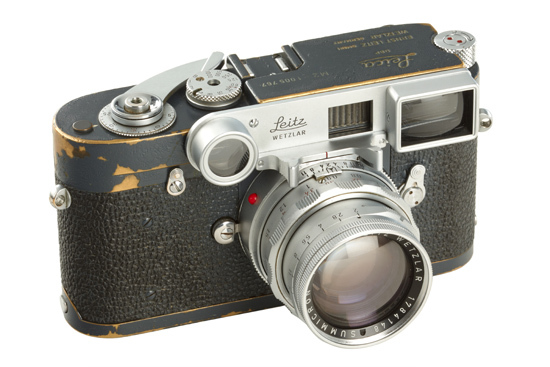 This means that this camera is not only one of the major existing rarities, it is also the first Leica being exported. 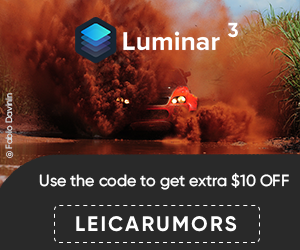 It is the unique chance to buy the most important collectible Leica camera. 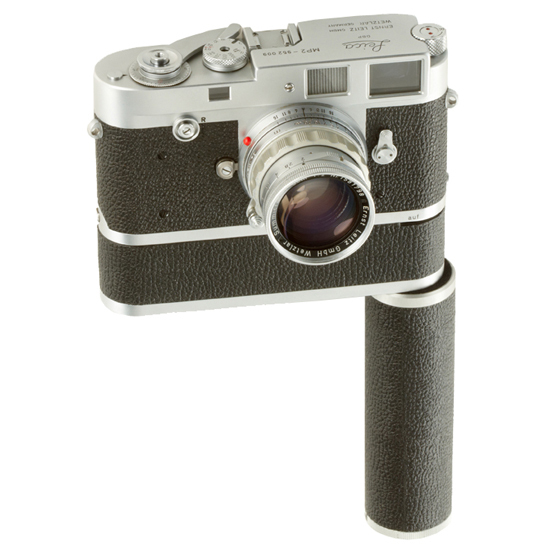 In 1960 twenty M2 grey painted cameras were delivered for the US Air Force. Camera no.1005767 is in 100% original condition, with nice patina. Only approx. 10 cameras are believed to exist, first time to be sold in public auction. 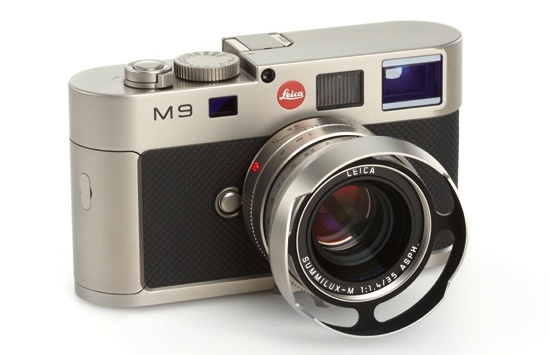 The MP-2 was the first experimental Leica M-camera for use with electric motor. Only 21 chrome cameras were produced, less than 10 are known to exist with the original electric motor. In near mint and original condition. This entry was posted in Other Leica Stuff and tagged Westlicht auction. Bookmark the permalink. Trackbacks are closed, but you can post a comment.